Merry Christmas to all of our Special Friends and Guests around the world! We wish you a Safe and Joyous Holiday Season and a Very Prosperous New Year! We look very forward to another great year and feel very blessed to be part of your Special Memories and Adventures with us here at Canadian Guide Outfitters. 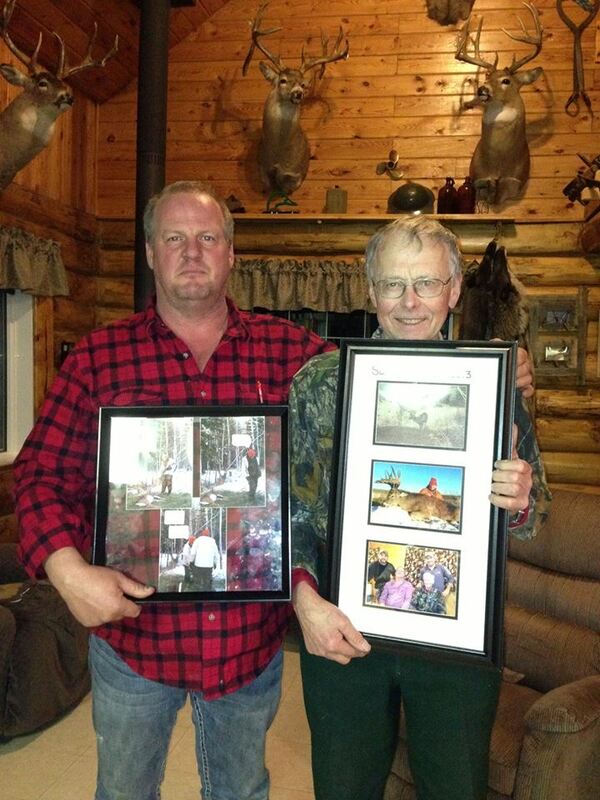 Roland and Dave holding their awards given out for their Whitetails they harvested last season. Good job guys!! 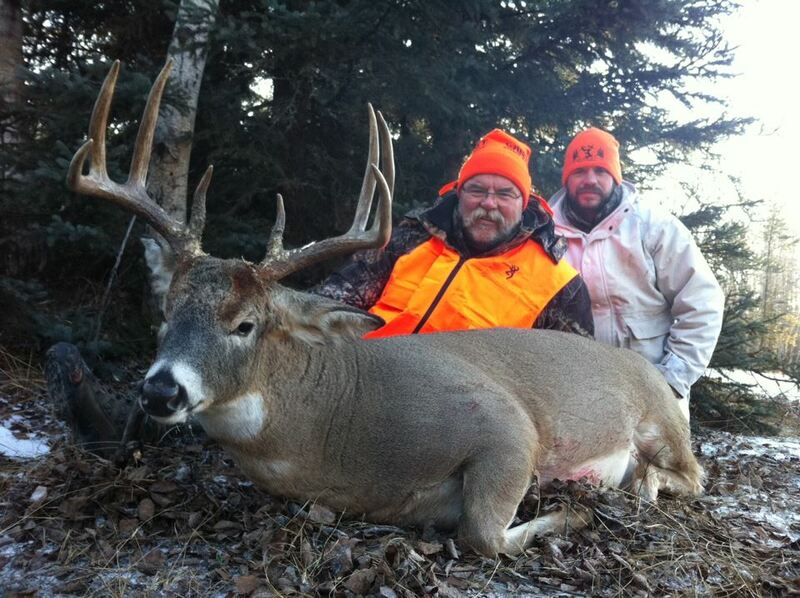 Well another Saskatchewan Whitetail season has come to an end and it was the best ever!!! We harvested some Huge Mature Bucks and by the looks of what we saw this year for Future Prospects we are going to have an even better season next year!! Many thanks to all of our guests who sat on stand and carefully and patiently passed up bucks until the right Big Boy stepped out. This is a HUGE help to our future herds!! 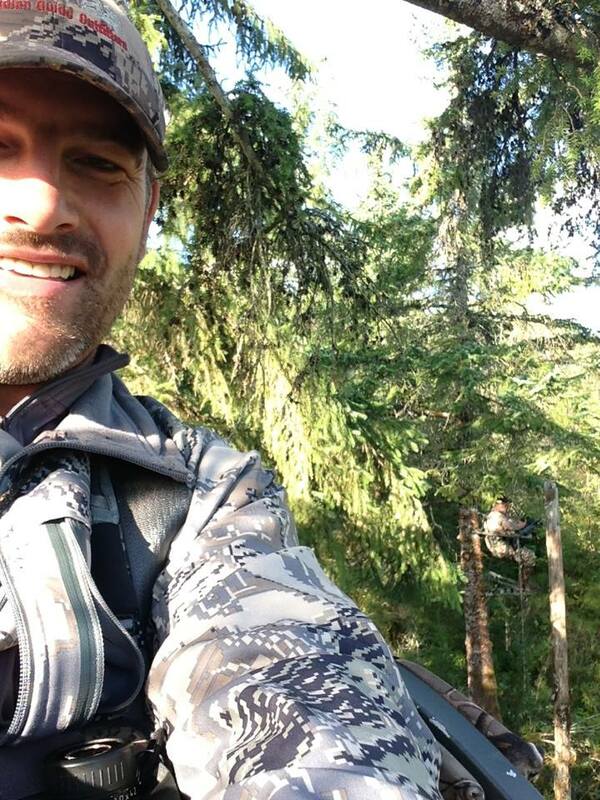 Looking forward to hunting with you all again next season!! I have to say, there is no way we could have had the success we had this year without two key people on our team. Sandy Irwin, is one of these two. She sets up our stands, starts our feed very early in the season, and she continues to bait them on a regular basis until opening day. She manages our trail cams on each stand until the opener, and then once we start our season, she switches hats and takes care of everything needed in the lodge from Breakfast to Dinners!! All of you that have been to deer camp know Sandy and are aware of her tremendous personality that is so welcome around camp!! Ryan "Hawkeye Hartling" my right hand man in every camp and every species we hunt. 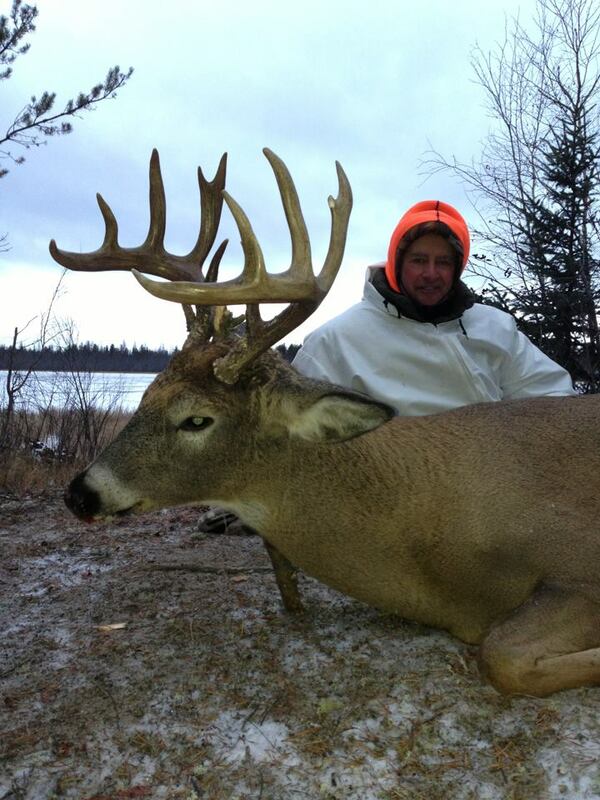 I can never say enough about the hard work and hunting ethic that this guys gives!!! 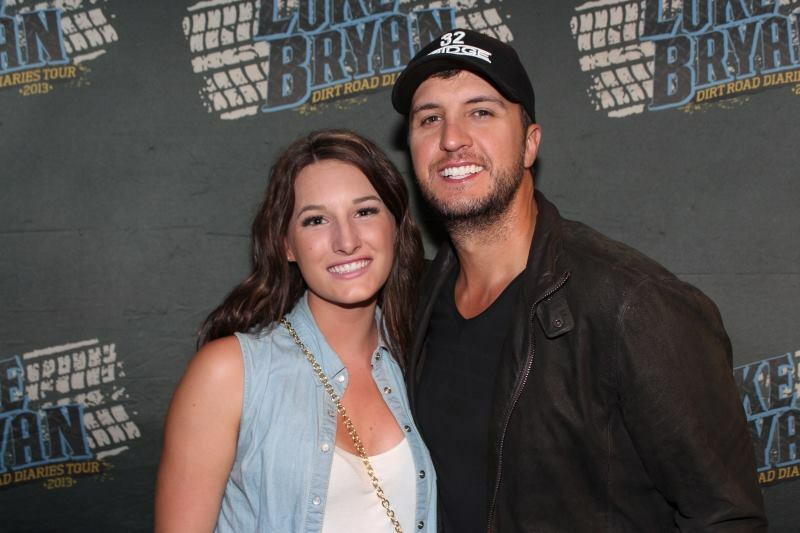 I can not thank you two enough for the hugely successful season we just finished! Back to Vancouver Island where I will have a bit of time to tackle the mountain of paperwork on my desk, just in time to start looking for some cougar tracks!! 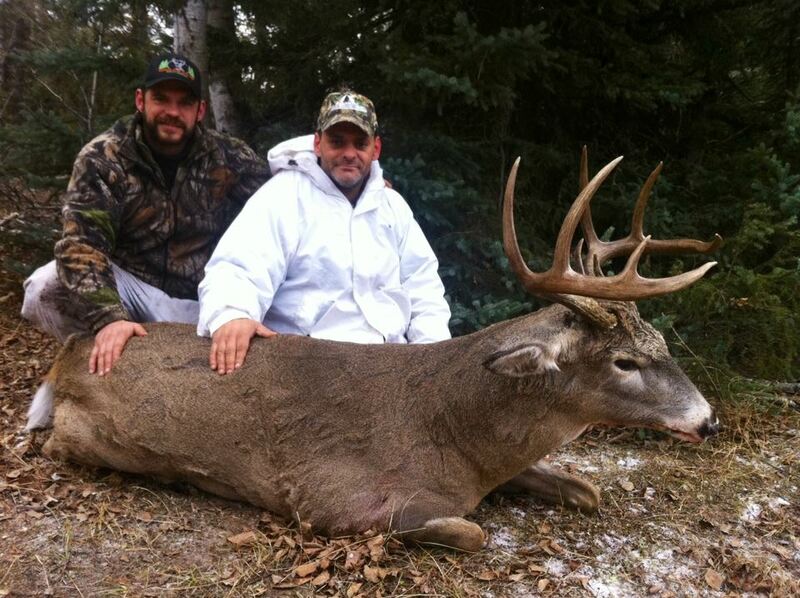 Jody's Bruiser Droptine Buck!!! What a hog!!! 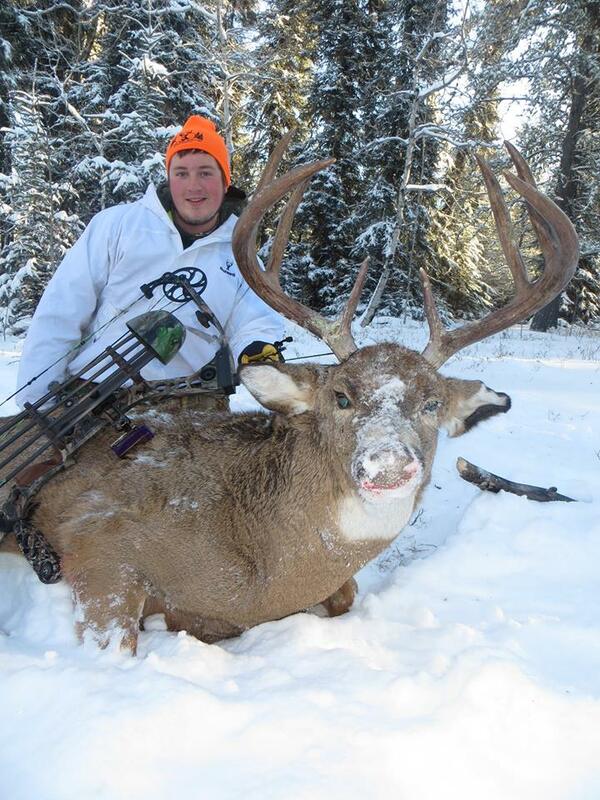 Mitch braved the sub zero temperatures sitting in an archery stand to harvest this giant buck with his bow. 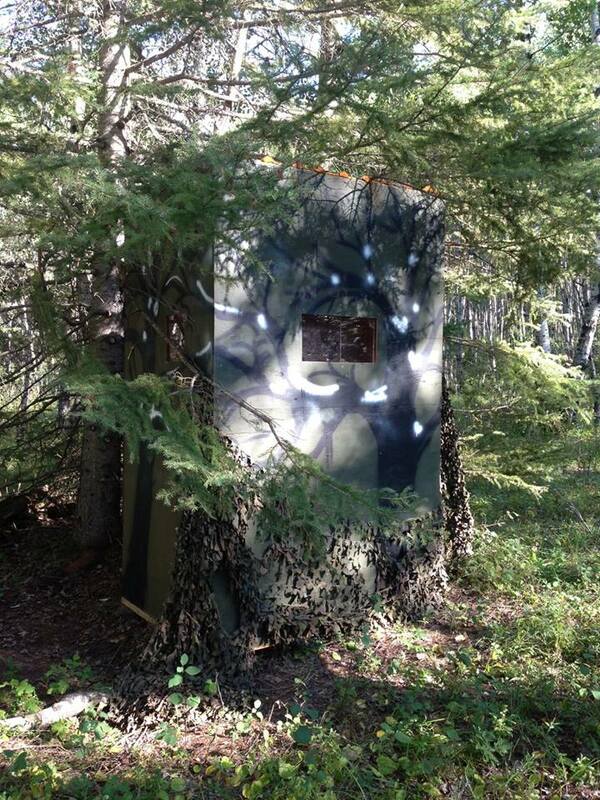 A truly dedicated archery hunter, the thought of switching into a nice roomy heated stand with a comfortable chair never crossed his mind!! 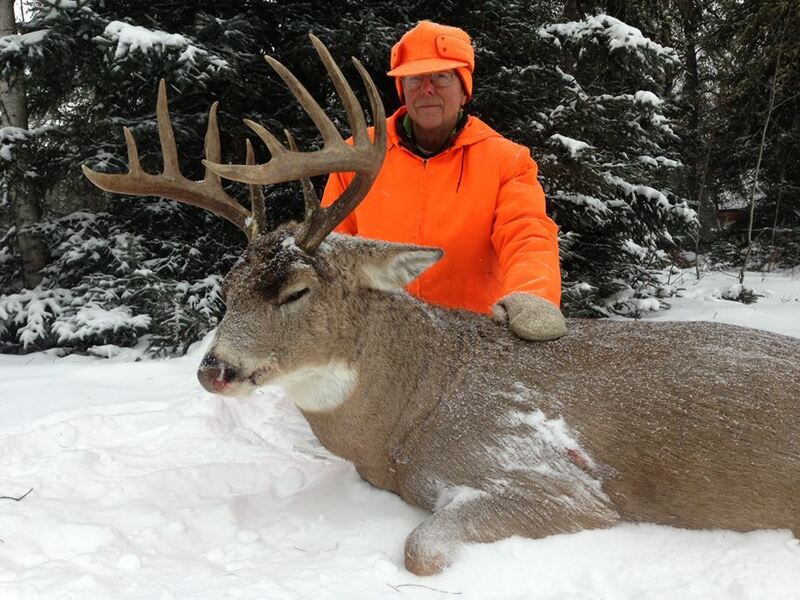 After passing up numerous bucks, Davey made the right decision on this heavy massive beamed old buck!!! Happy Thanksgiving Day to all of our Southern Friends and Families. I hope you are enjoying a safe and wonderful day!! 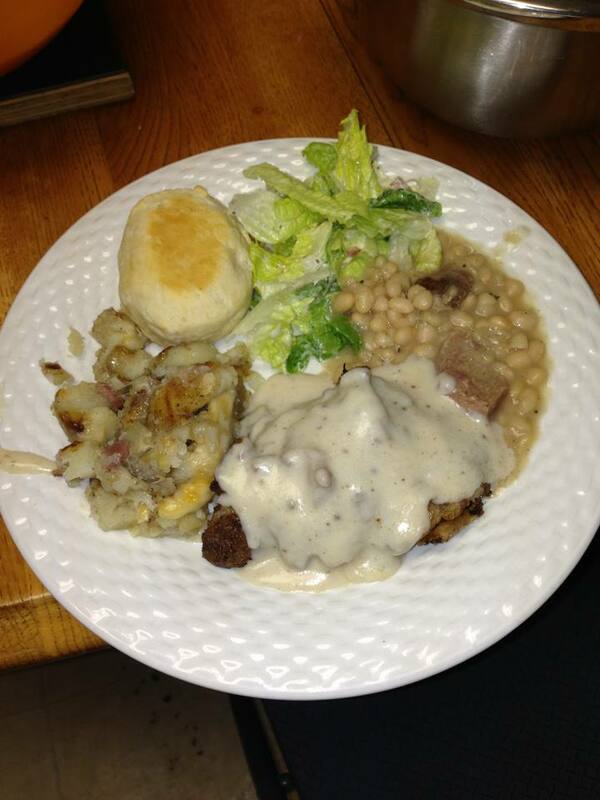 Nothing like "Texas Style" Chicken Fried Steak with "fresh" venison ending another very successful week hunting Big Saskatchewan Whitetails. YEP......... 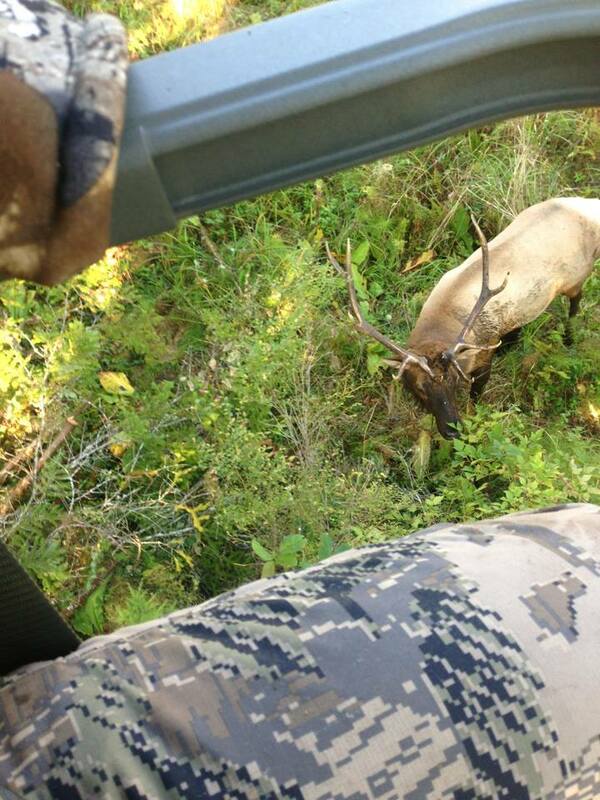 I think the rut has arrived!!! 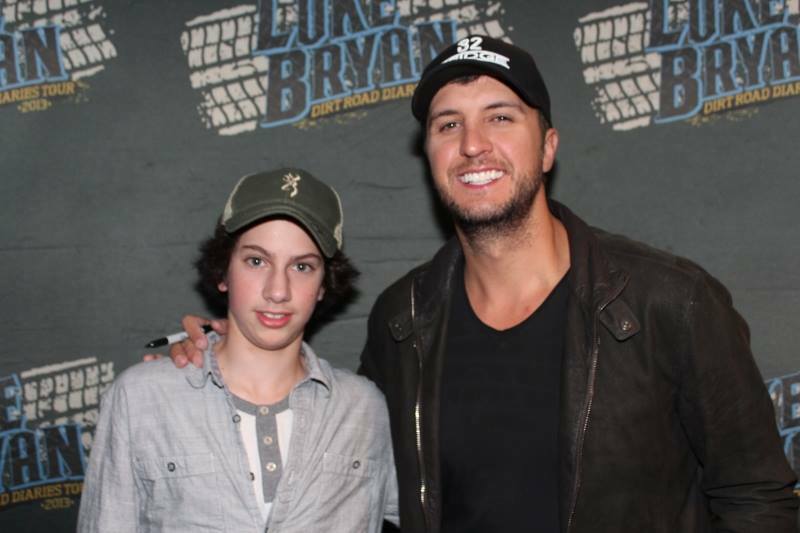 Shared by Sean Lingl: We had the pleasure of having Bill and son Justin come up and spend some good times with us again. 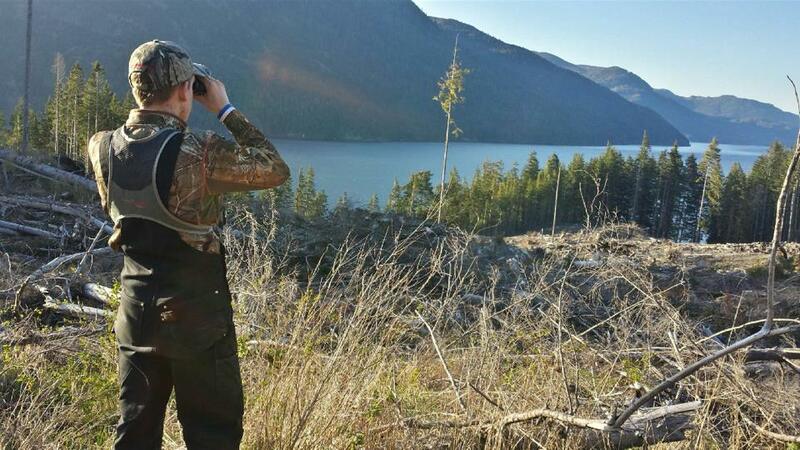 Justin had never had the opportunity to hunt our Coastal Blacktail and had actually never seen one. 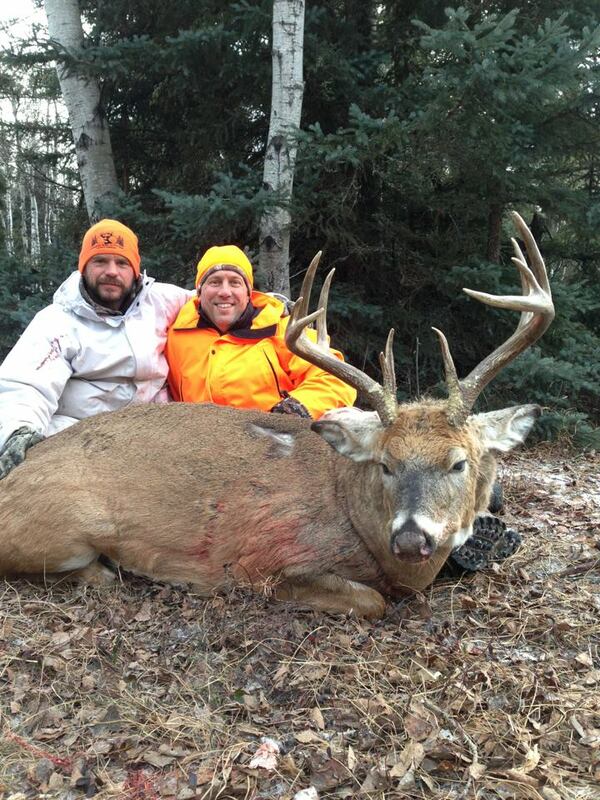 Pete "Mr. Blacktail" got right on this and helped Justin find this beauty heavy 5x2. Any of you that have hunted the Coastal Blacktail will know that these little critters are one of the toughest deer to hunt, especially in the Coastal Rain Forest. Great Job Justin and Pete!! 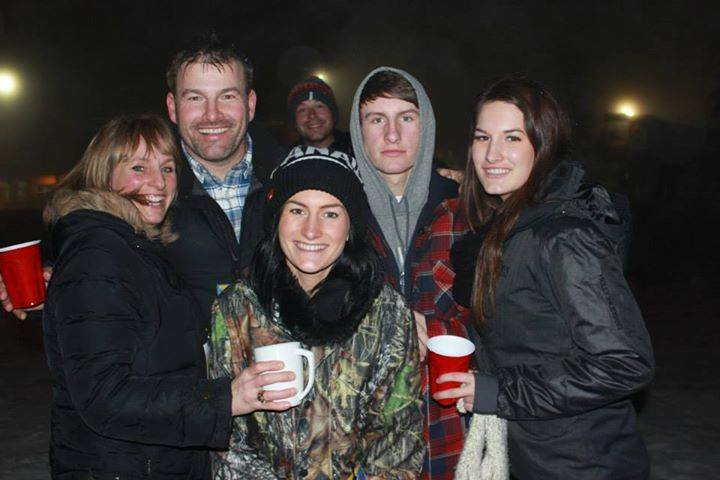 Was great to have the "Grooketts" back with us again. I don't think I have laughed that hard since last time you were here. 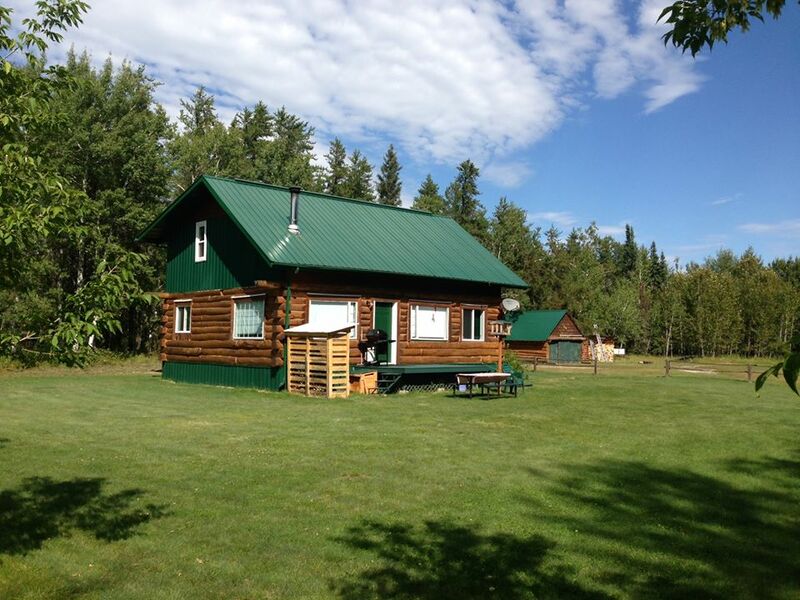 We look very forward to your next visit! Shared by UNCAGED with Matt Hughes: Had a great hunt with Sean Lingl's Canadian Guide Outfitters up here in Saskatchewan, Canada! 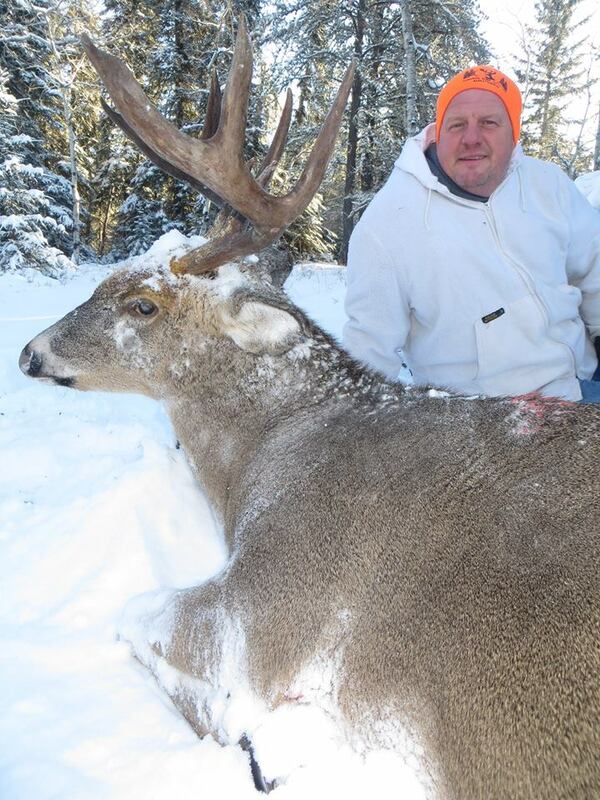 My Browning X-Bolt in a 300 win mag with Hornady Superformance ammo and a GMX bullet worked great on this big northern whitetail. 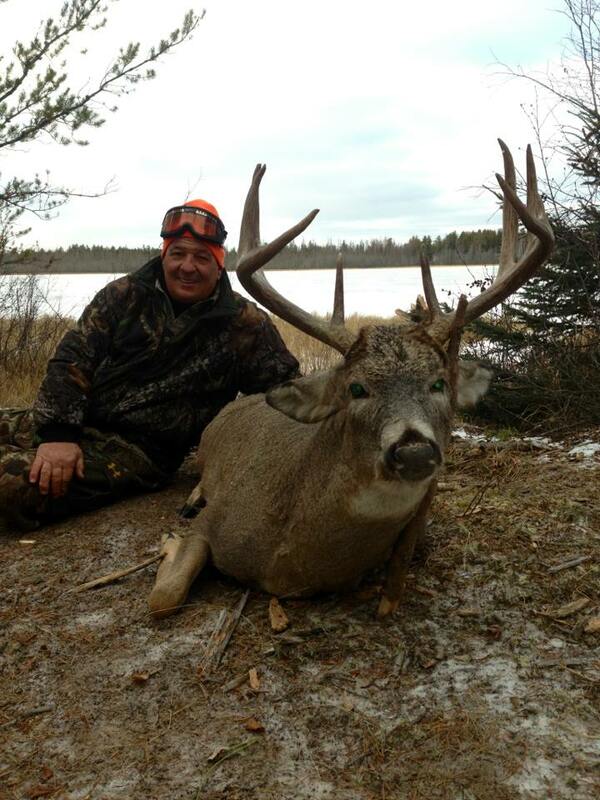 You got to put in your time hunting these big northern deer. These are long hunts. You sit all day. If you got the patience, it will pay off! 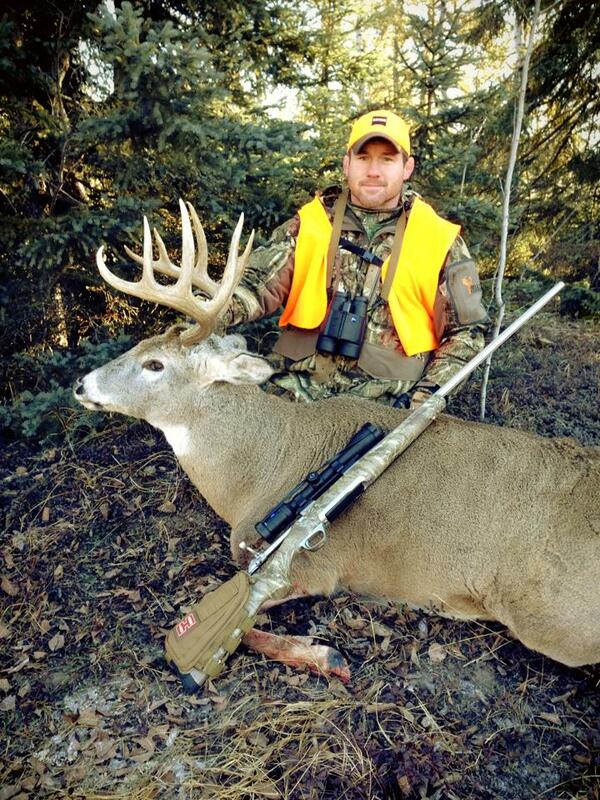 With one big heavy old buck already on the ground by archery hunter Brett, I am heading to Saskatoon to meet up with good friend and UFC champion Matt Hughes and head back north to spend a week hunting giant whitetails. 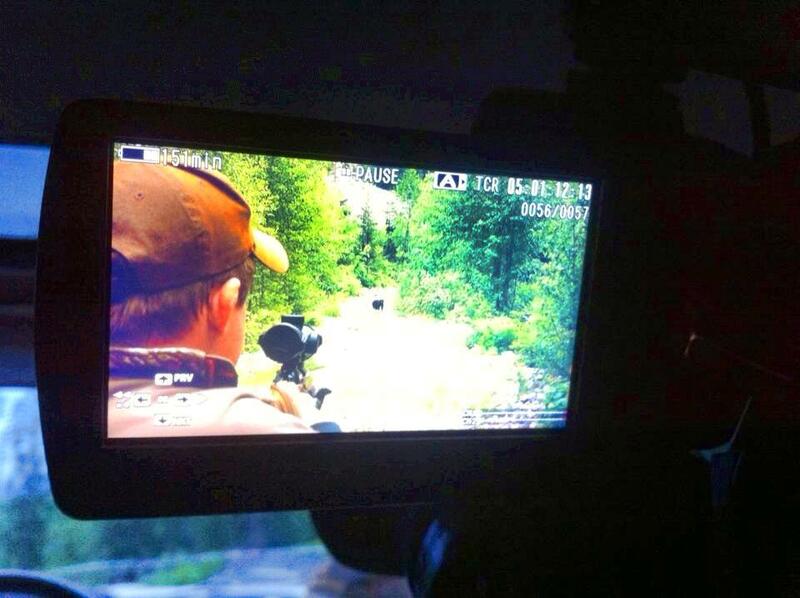 Filming the hunt with the BWB production team for Matt's show "Uncaged" on the Spottsman Channel". Will be a great week! How can it not be!! 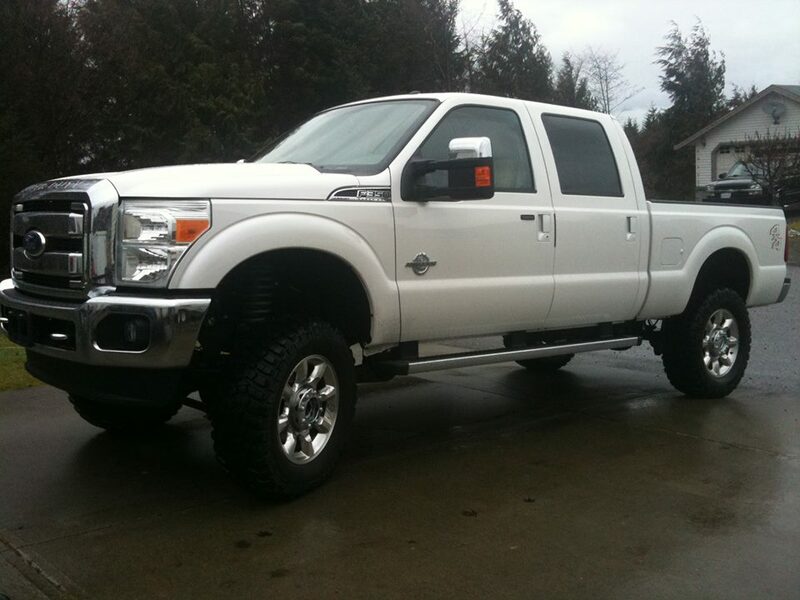 Selling my 2011 F350 Lariat Diesel 197,000 km's. Many years left on her. Comes with the 6 inch lift, 4 KC Lights and KC light bar as well brand new 35's or 37's on it at purchase. Msg me if you have any interest. We aren't going hungry!!! 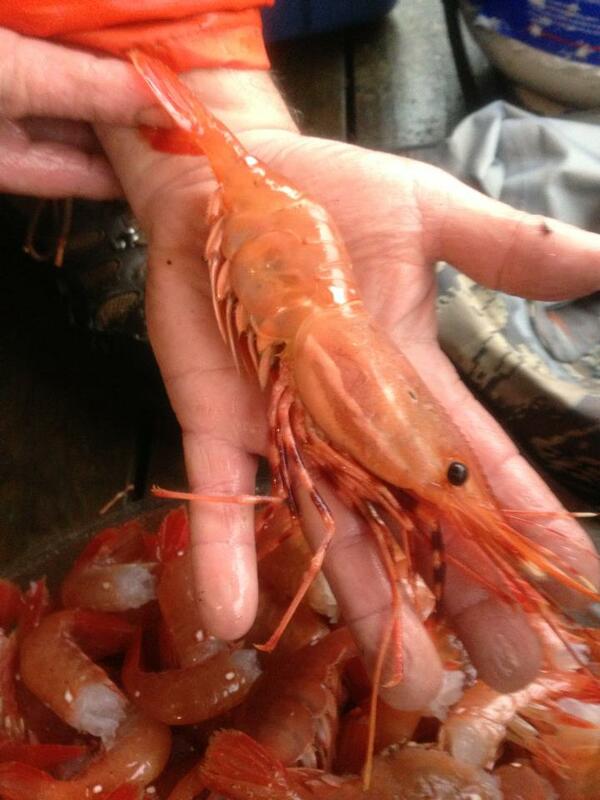 Good job on the prawns Pete!! 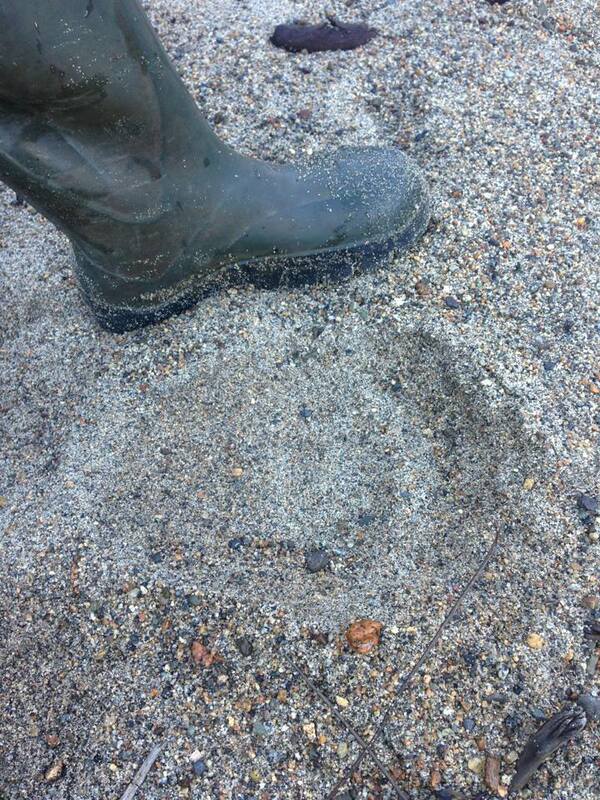 Size 10.5 boot, Coastal Grizzly Bear or Sasquatch?? The view from my new office location!! 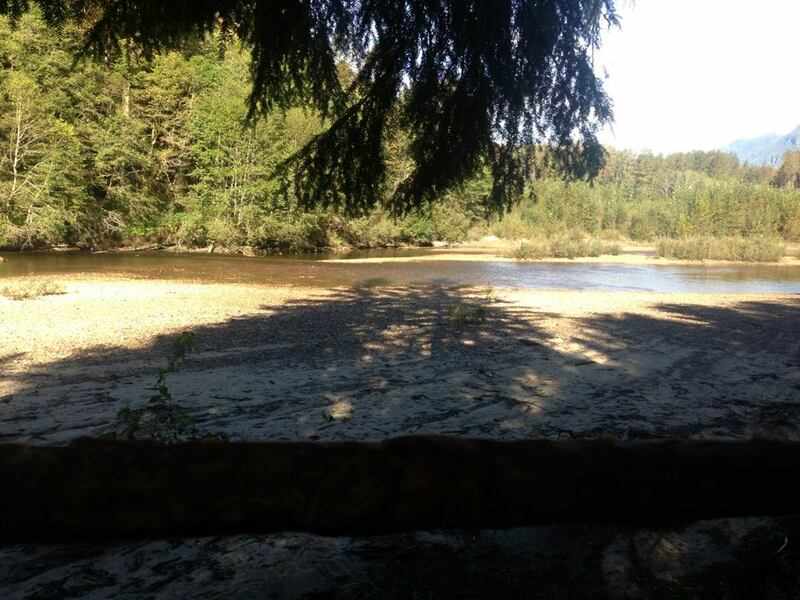 A great spot!! 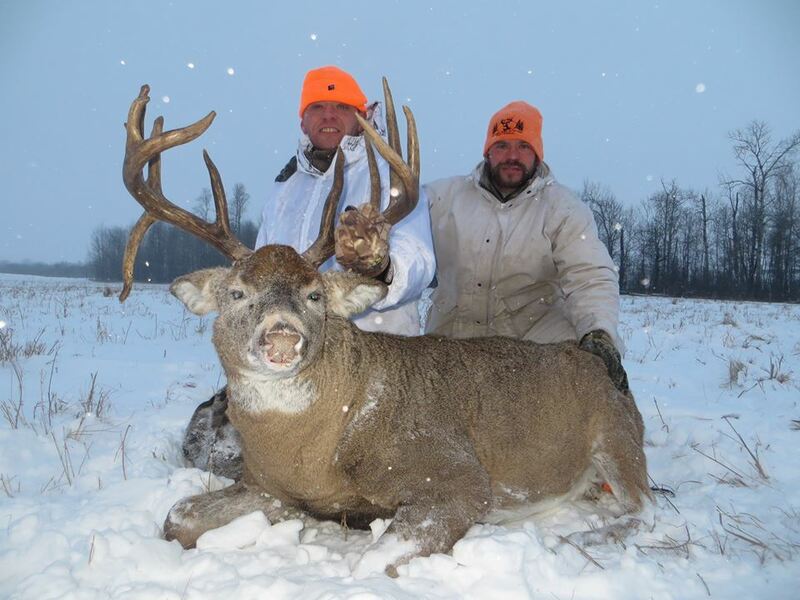 Airing today, BWB Hunt Productions did a great job putting this episode together!! 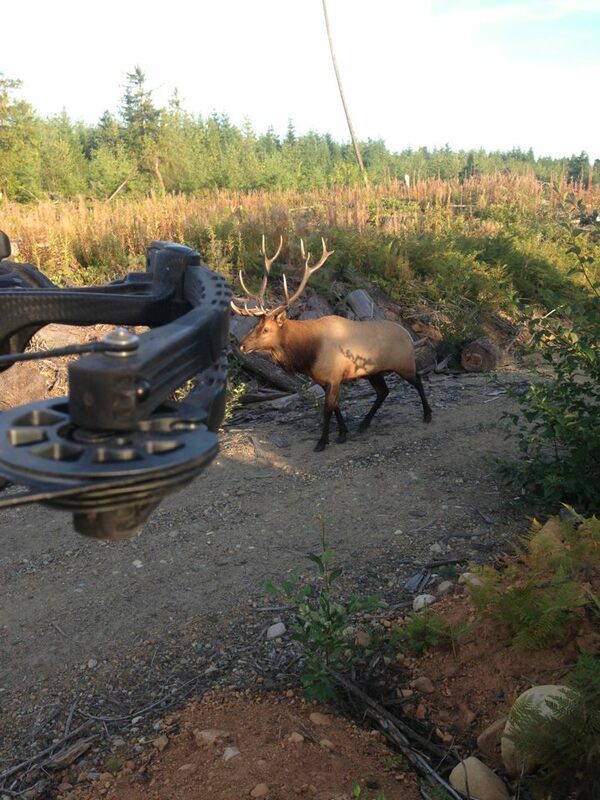 Uncaged Episode 9 - Teaser "Island Bruin Madness"
I am kinda liking this new Elk scent I just picked up from Cabelas... This young bull won't leave us alone!! Sitting in my office waiting for a GIANT Roosevelt to step out!! With Tom in the tree right beside me. A great trip over to Saskatchewan to get some prep work done. I dont usually get to see Saskatchewan in the summer all nice and green. Beautiful!! With another Island Black Bear Spring season come and gone, I am already missing it. We had another amazing season and I can not thank my team enough for the huge efforts they always put in. I am truly blessed with our group and could not have the amazing seasons we do without them. A HUGE thanks to all of our guests and friends that spent some time with us this Spring. Some new guests, many return guests and lots already booked for next Spring. Really pumped about this Fall. Many hours of scouting still to get done before then, trail cams to set up, and a few flights and boat trips to check on some new territory we have never been in to. I will do my best to keep you updated! 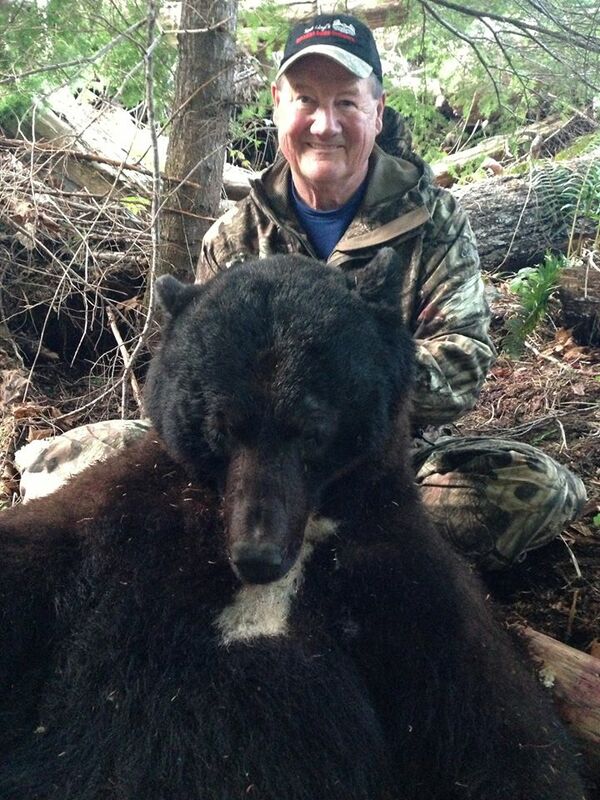 This giant old Island Bear harvested by Bruce from Texas. 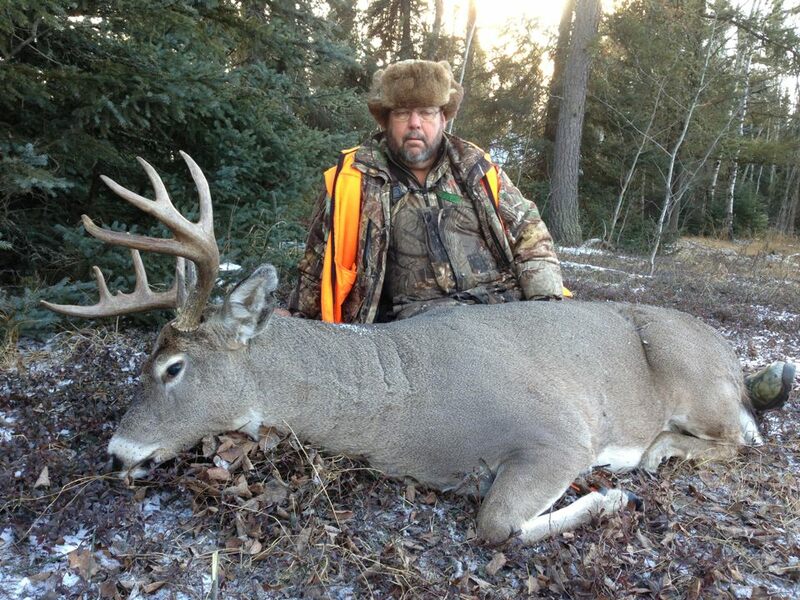 Bruce also had his father along with him and he harvested another giant. Pics to come soon. HAPPY INDEPENDENCE DAY to all of my American Family and Friends!! We wish you all a very safe and enjoyable day with friends and family. Finally getting a chance to download and organize some more Spring pictures. 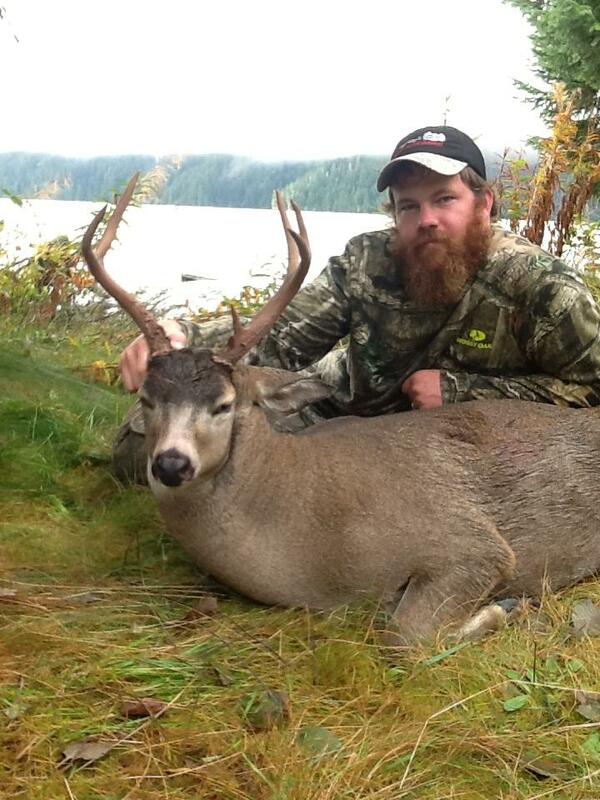 Tim from Ohio with his 7 foot Vancouver Island GIANT!!! 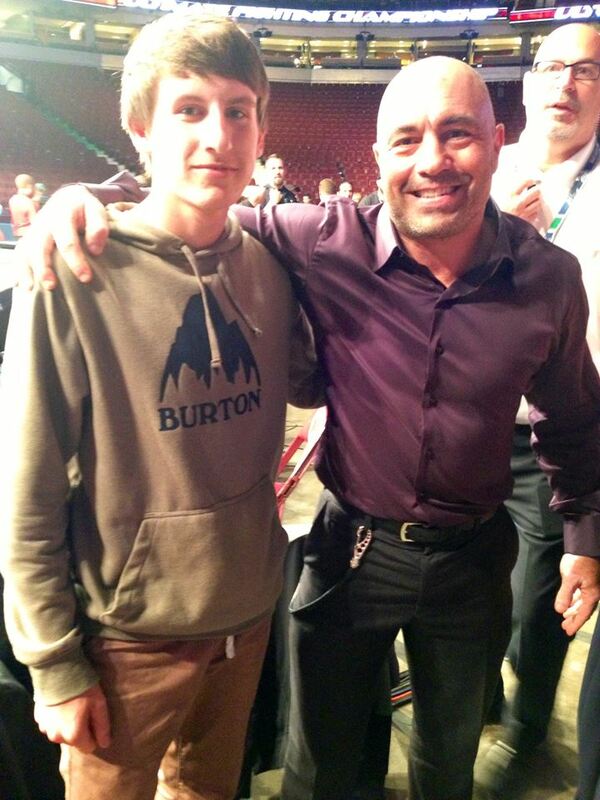 A HUGE thanks to Matt Hughes and UFC for making UFC 174 such a special event for my son Matt and I. 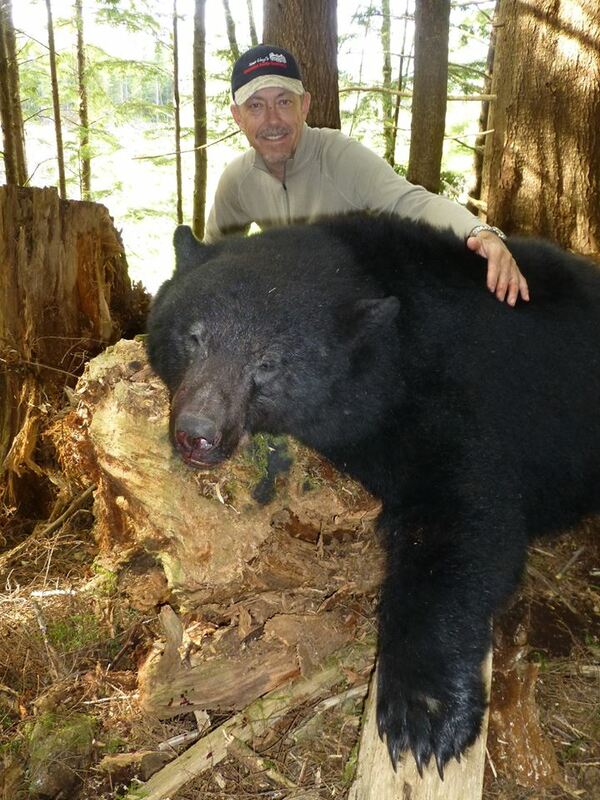 We have had another amazing Spring season for Vancouver Island Black Bear!! With only one week left in our season I better start filling you in on some exciting stories from over the past 2 months. Patty from Houston Texas traveled here with her husband Des and helping hand Rose . Patti was the hunter. She is confined to a wheelchair with one side paralyzed. That does not stop Patti from doing anything she wishes to do. 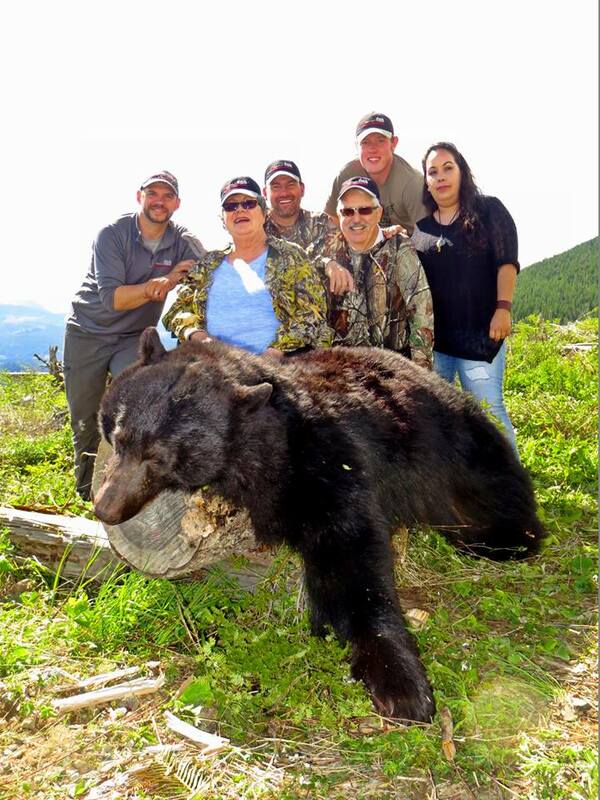 Patti has hunted all over the world and her dream was to harvest a Big Island Black Bear!! And that she did!! She worked very hard for this X Large boar and deserves every inch of it!! Pictured is the whole team that helped make this happen. 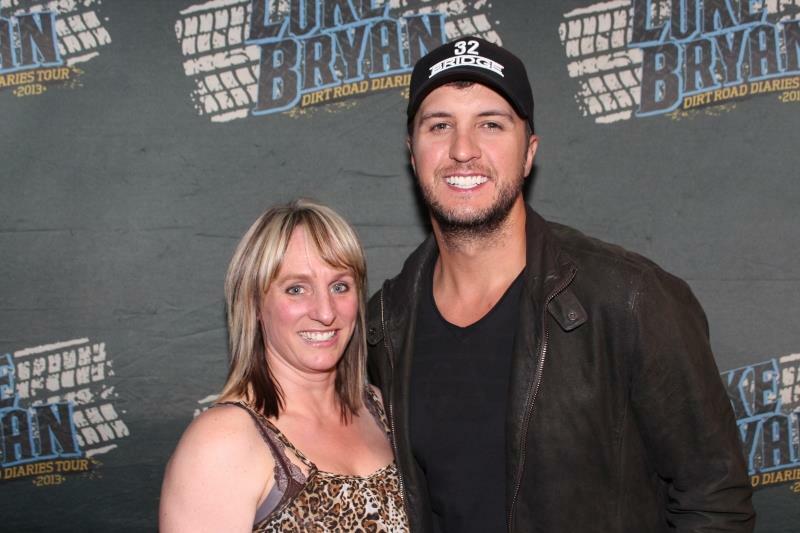 Congrats Patti!!!! If this doesn't get you pumped up, not sure what will!! Going to be an excellent show!! 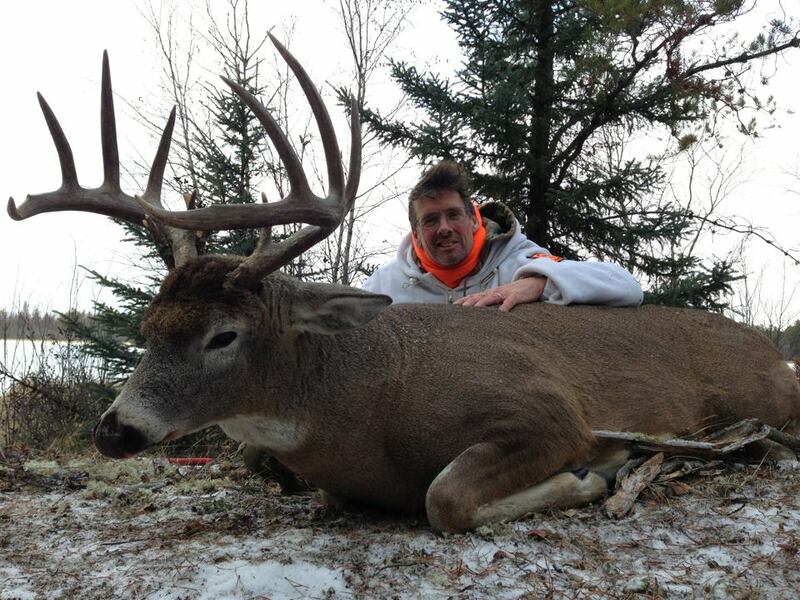 Matt Hughes and the BWB Team have gone over and above with this one!! 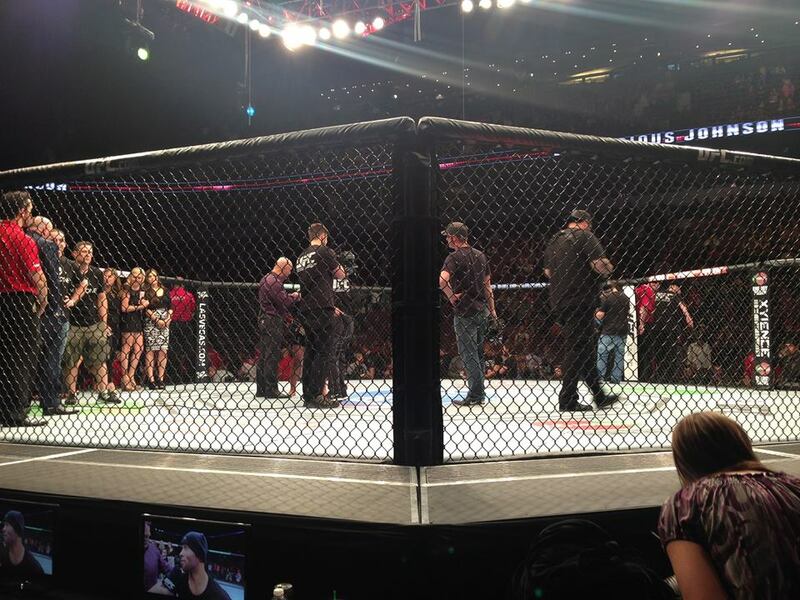 Shared by UNCAGED with Matt Hughes: Here he is! 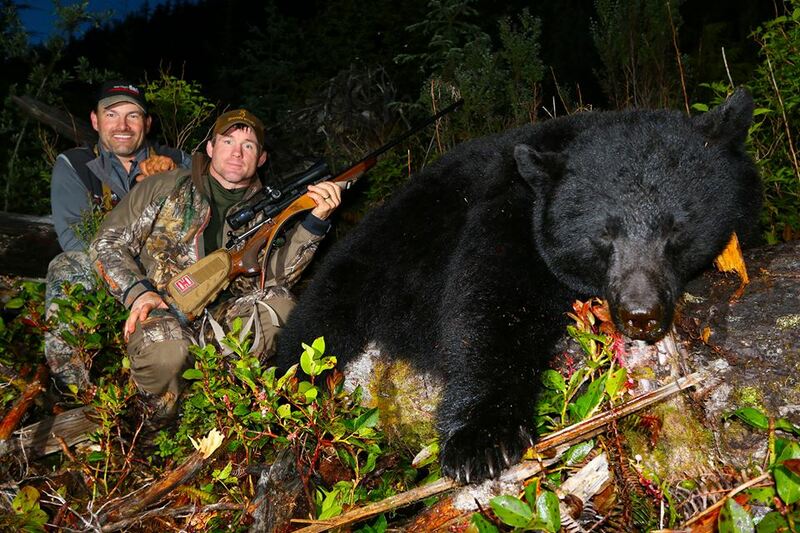 My black bear taken with Sean Lingl's Canadian Guide Outfitters here on Vancouver Island, British Columbia. 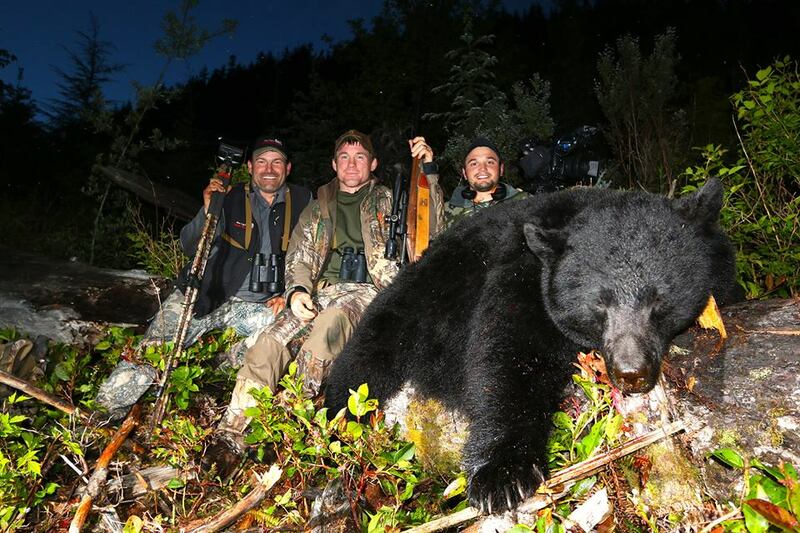 What a fun and challenging true spot and stalk black bear hunt! 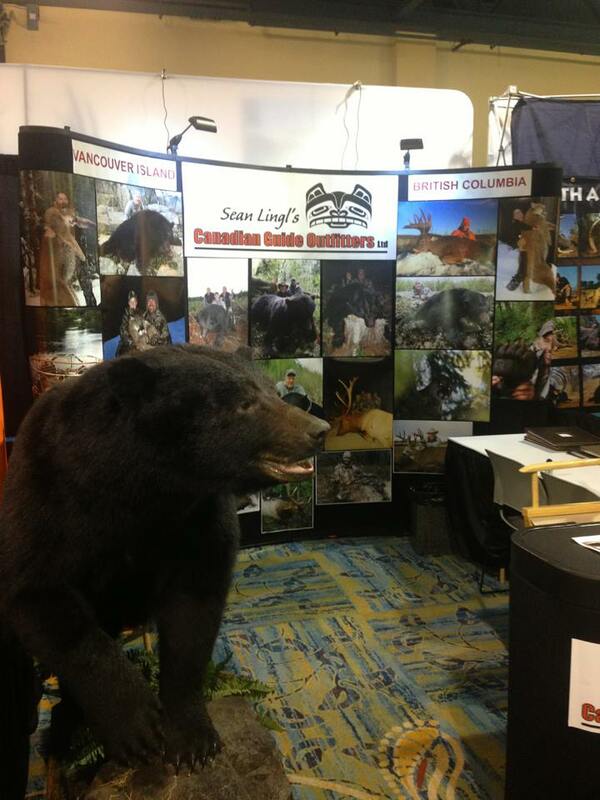 Lots of bears and many close encounters this week! This wraps up season 1 of my new show UNCAGED and I couldn't of done it and hunted in a better place with a better outfitter. Thank you Sean to you and your entire team of guides and staff for a fun week! 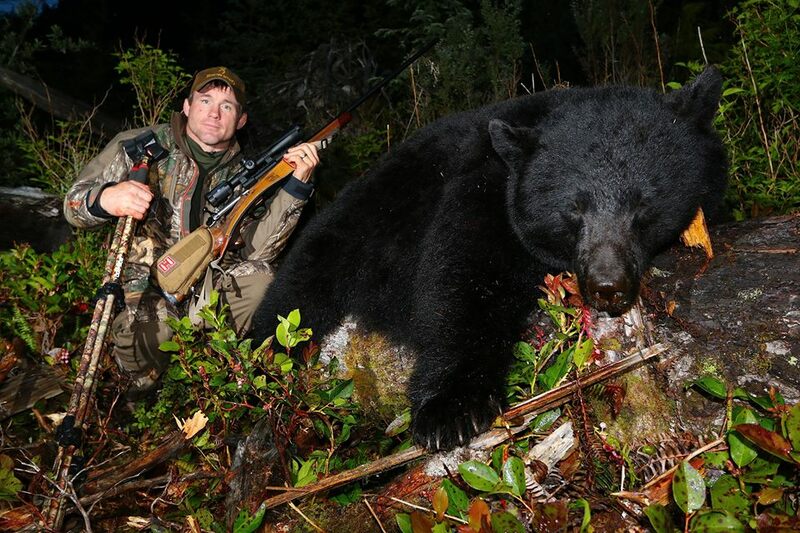 Shared by UNCAGED with Matt Hughes: We've had numerous encounters daily of black bears here on Vancouver Island with Sean Lingl's Canadian Guide Outfitters. Shared by UNCAGED with Matt Hughes: Home from Africa. Had a great hunt I'm Namibia for the new show UNCAGED with Omujeve Hunting Safaris Namibia. Fantastic outfitter and operation! I want to say a big thank you to the Kruger Family for hosting us and to Uys my PH for hunting hard for 15 straight days! All of the best tools in the hunting industry were put to use this trip! My Browning X-Bolt rifle with a Carl Carl Zeiss Hunting US scope and Hornday Ammunition. 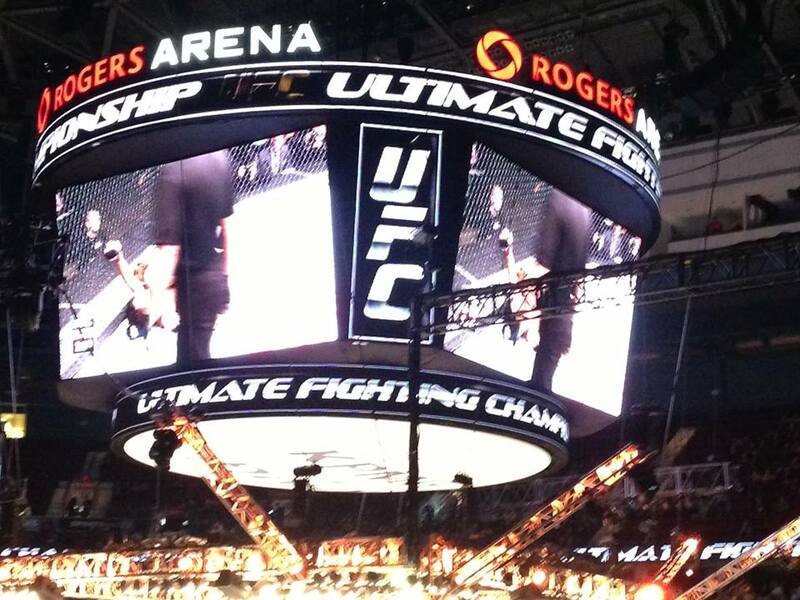 Next stop Vegas for a UFC event then Vancouver Island for a bear hunt withy good friends at Sean Lingl's Canadian Guide Outfitters! 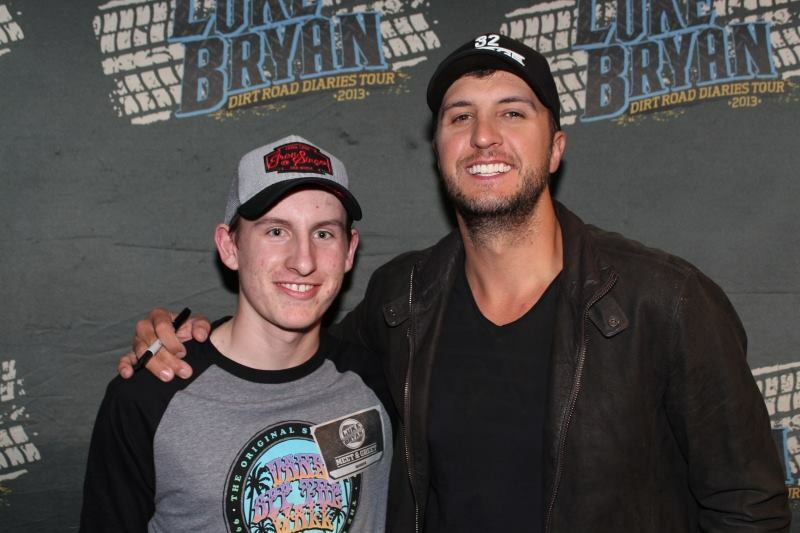 A HUGE thank you to Luke, Mr. Bryan and of course my good buddy Brad for making this night something very special for all these smiling faces!!! Our Spring season has just started!!! Been waiting for this day seems like forever!! 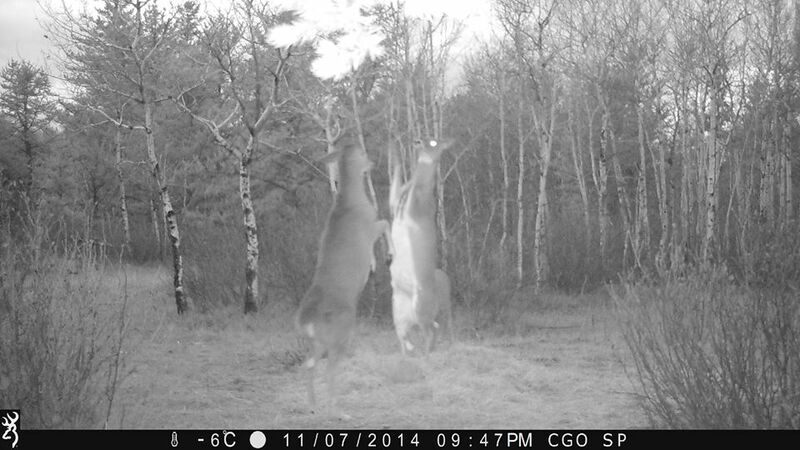 Some pre season scouting got us very excited!! Enjoyed my day with two very good buds, my son Matt and my good buddy Cody Robbins. 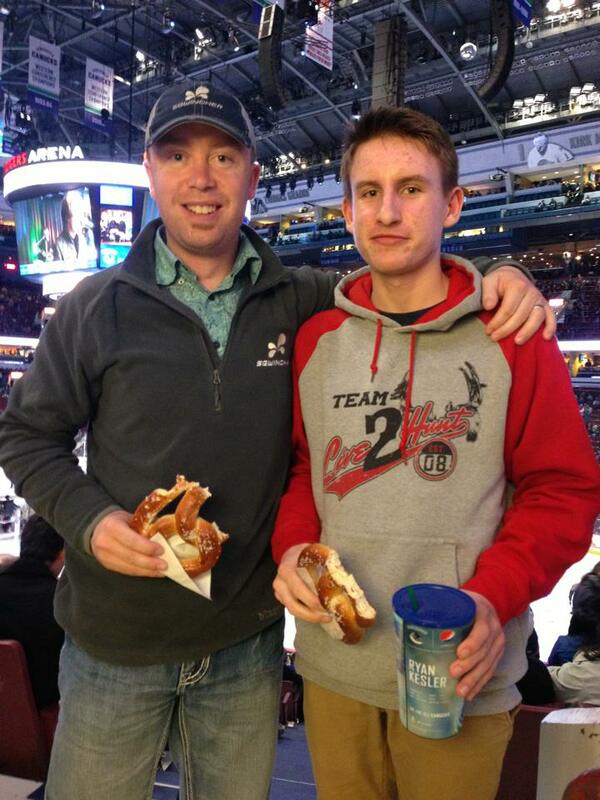 Great game in Vancouver!! He was patrolling a riverbed North of Kandahar Afghanistan, when he knelt down on top of an improvised explosive device (IED). The force took off his right leg, but Staff Sgt. Phillips Casey never lost consciousness while on the battlefield, retaining command of the men under his leadership. We are truly privileged and extremely honored to be able to spend time with this amazing Hero during this upcoming Spring season. 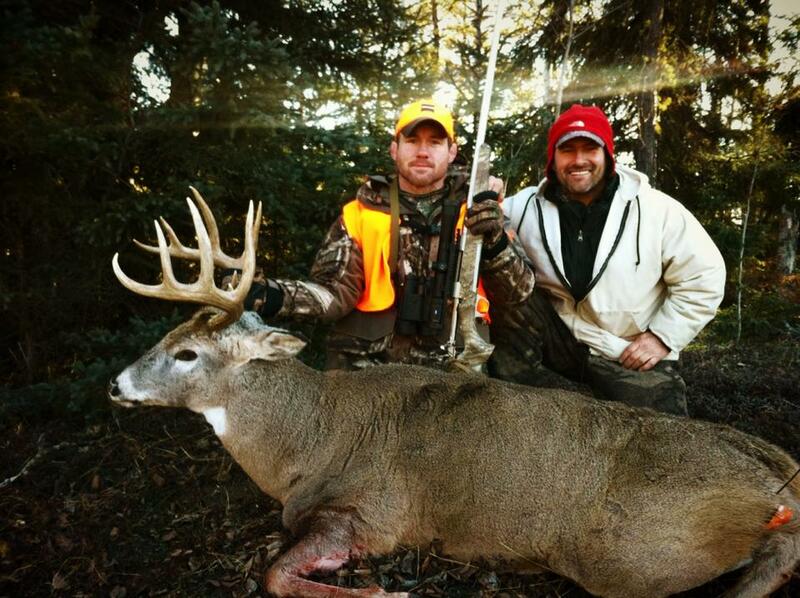 He will be joined by UFC Champion Matt Hughes, Trinity Oaks Organization and good friend Blake Barnett. 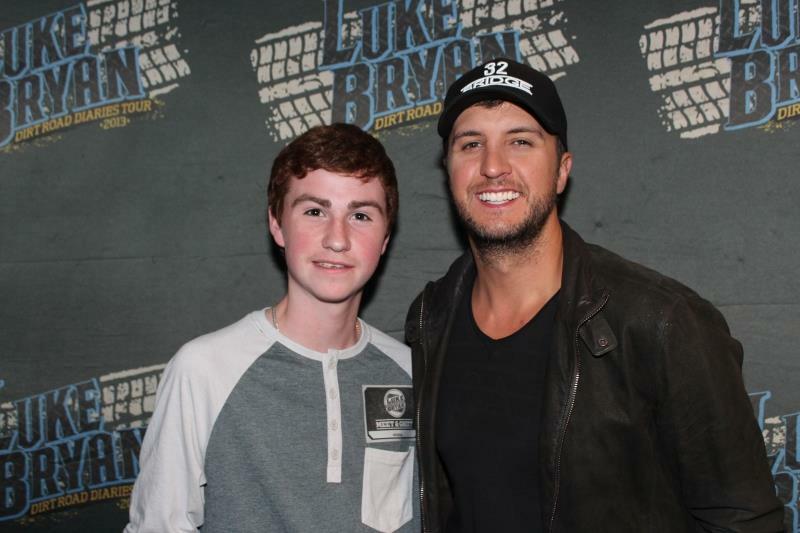 More on this amazing story coming soon! We just finished off our 2014 Texas tour and it was the most successful trip we have had to date!!!! So many thanks to the Dallas Safari Club, Houston Safari Club, all of our very good friends at the shows, sponsors and new clients that went out of their way to come see us. A special thanks to my Houston family "The Tinney's" for all the help you give us and for being such great friends. And huge thanks to Ryan for his countless hours on the show floor talking with clients old and new!! It is because of all of these people and organizations that this trip continues to be so successful! 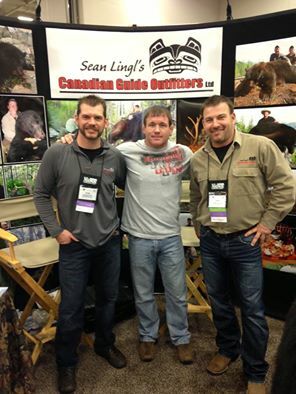 Many new and exciting things are in store for Canadian Guide Outfitters Ltd. in this 2014!! 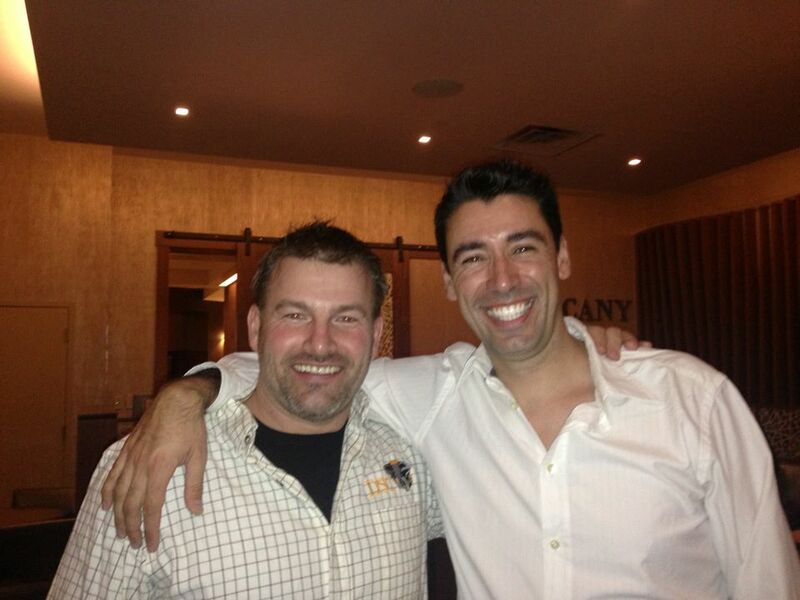 Hanging with my good buddy Bruno at the HSC convention in the Woodlands, Houston. Bruno owns and operates Trophy Hunting Spain. Anyone ever looking for an amazing adventure in Spain, he is the best there is!! Having some fun at the HSC auctions. 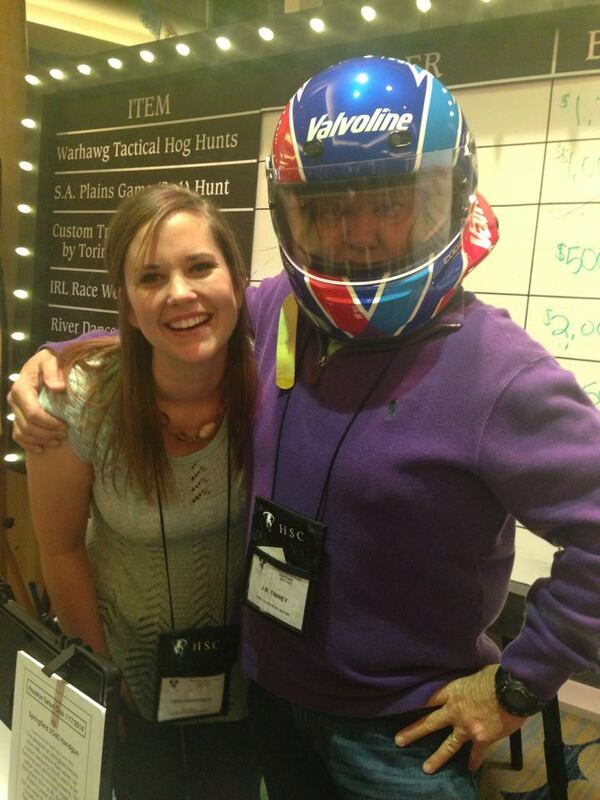 My good buddy JB modeling his NASCAR helmet after being the successful bidder of a NASCAR race and VIP package! 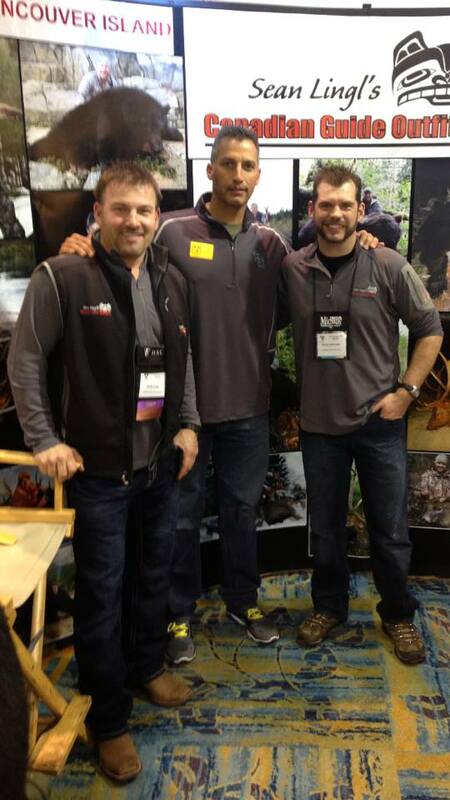 Ryan and I had a chance to visit with good friend Jake Baker and NY Yankees All Star Pitcher Andy Pettitte today at our Canadian Guide Outfitters booth. Enjoying opening day of the Houston Safari Club Show at the Woodlands here in beautiful Houston. 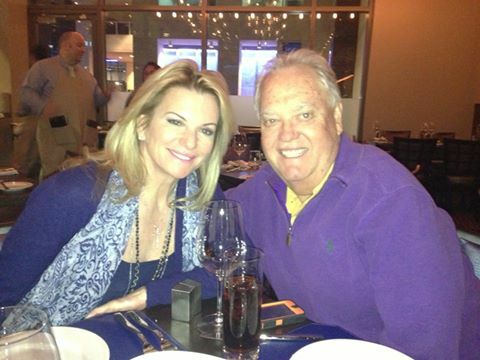 Enjoying an incredible dinner out with two very special friends, JB and Maryann, my Houston family!!! A HUGE thanks to the Dallas Safari Club for another superb convention!!! A big success!! 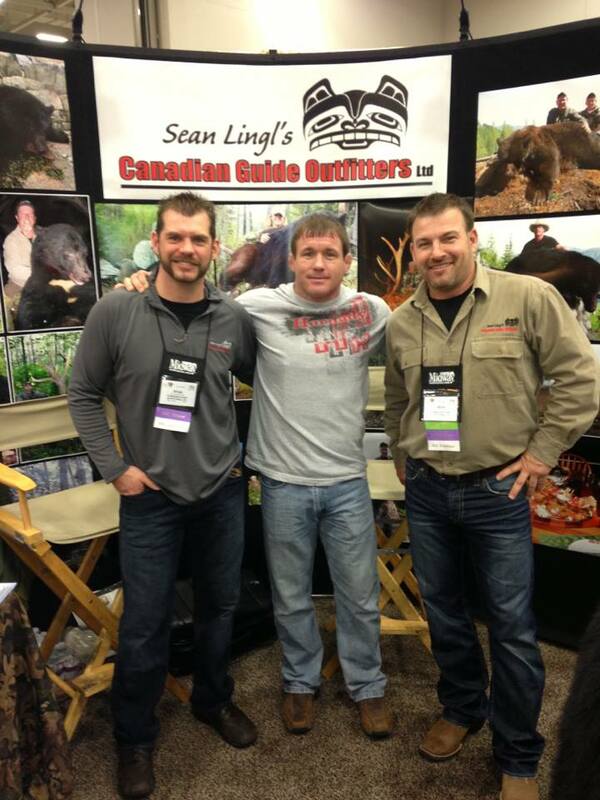 UFC Champion Matt Hughes and Blake Barnett dropped by our booth today to discuss our upcoming hunt this Spring alongside a Trinity Oaks Wounded Warrior!! Very exciting stuff!!! 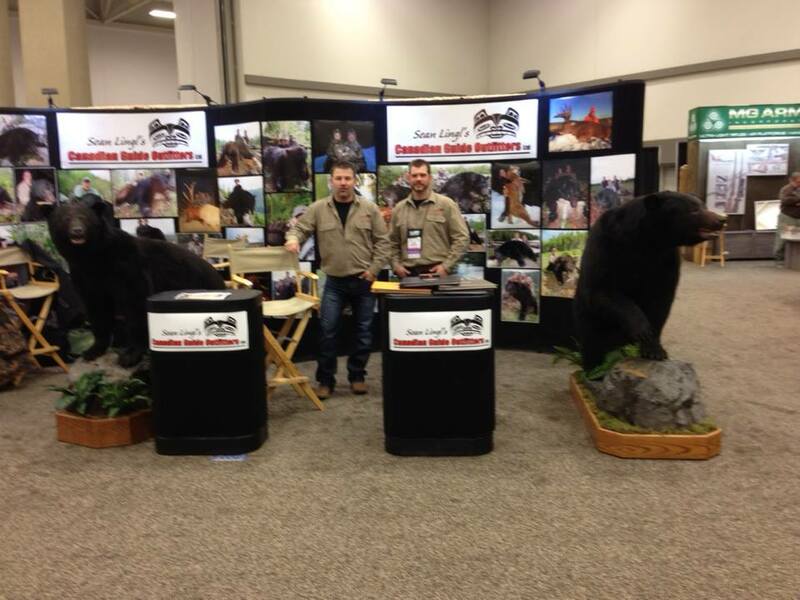 First day in Dallas, Texas, at the Dallas Safari Club Convention a Huge success!! Thank you to all of those that dropped by to say hello. 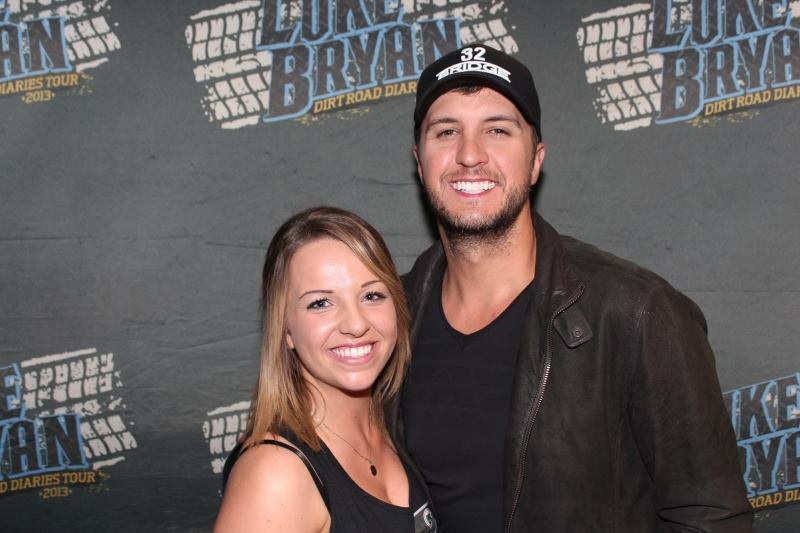 it was so great to see all of our friends and guests again. Getting geared up and packed for Texas!! Dallas followed by Houston. Make sure to stop by the Dallas Safari Club convention or the Houston Safari Club, both amazing shows, well worth the trip!!! HAPPY NEW YEAR to all of our friends, clients and their families around the world, to my guides and their families whom I appreciate so much, and to all of our suppliers and your families, We wish you all the very best success and Happiness in this New Year!!! It is going to be another amazing year! !